A 3500 Limited Mega Cab starts at $67,050, and the high-output Cummins is an $11,795 option. Ram pulled the covers off its new HD pickup lineup at the 2019 Detroit Auto Show. The 2500 and 3500 models pack impressive capabilities, especially with the turbocharged Cummins diesel in its top tune producing 1,000 pound-feet (1,356 Newton-meters) of torque. Now, we know how much all of that power will cost with comprehensive pricing from Ram, which the automaker just released today. Spoiler alert – it’s not cheap. More on that in a bit. 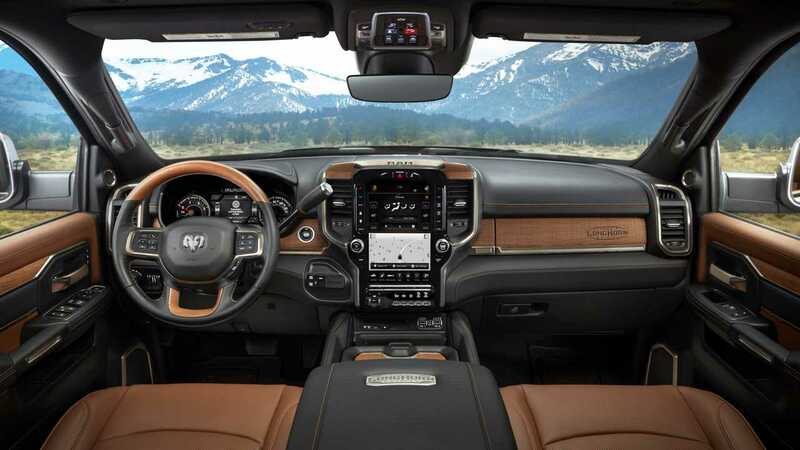 "In launching the new 2019 Ram Heavy Duty pickups and Chassis Cab trucks, we knew it was important to offer class-leading capability, features, and technology. But it's also important to offer our great products at a competitive price,” said Reid Bigland, head of Ram for FCA. "We feel that we've delivered the right mix that Ram Truck customers – across a broad spectrum -- will appreciate." Bigland certainly isn’t blowing smoke when he says broad spectrum. Base prices start at $33,395 for a 2500 Tradesman with two-wheel drive and a standard cab, and extend all the way to $67,050 for a 3500 Limited 4x4 Mega Cab. We include prices for all Ram HD models – and there are a lot of them – in the press release at the end of the article. Keep in mind, all prices are MSRP figures that don’t include optional add-ons or destination charges. Also, these prices are for trucks equipped with the standard-issue 6.4-liter Hemi V8 and eight-speed automatic transmission. That mill offers 410 horsepower (306 kW) and 429 lb-ft (581 Nm) of torque. We’ll have to wait until Ram launches its 2019 HD configurator to find out just how pricey these trucks can get once all the option boxes are checked, with two very notable exceptions. Ram tells us the 6.7-liter Cummins diesel with the six-speed automatic is $9,100 extra, while the high-output version (which gets you the coveted 1,000 lb-ft of twist) is $11,795 extra. Right away, that pushes the price of a Cummins-equipped 3500 Limited Mega Cab frightfully close to $80,000, and that’s just one option. The HD pickup war is hotter – and stronger than ever. Ram’s big trucks are capable of towing 35,100 pounds in the right configuration, while Chevrolet’s new Silverado HD bests that figure by 400 pounds. Ford just revealed a mild facelift for its Super Duty line along with an all-new 7.3-liter pushrod V8, but the company hasn’t yet released information on power or towing/cargo capacities. February 19, 2019 , Auburn Hills, Mich. - Ram Truck today announced the new 2019 Ram Heavy Duty pickup truck will have a starting Manufacturer’s Suggested Retail Price (MSRP) of $33,395 plus $1,695 destination fee. "In launching the new 2019 Ram Heavy Duty pickups and Chassis Cab trucks, we knew it was important to offer class-leading capability, features and technology. But it's also important to offer our great products at a competitive price,” said Reid Bigland, Head of Ram Truck Brand – FCA. 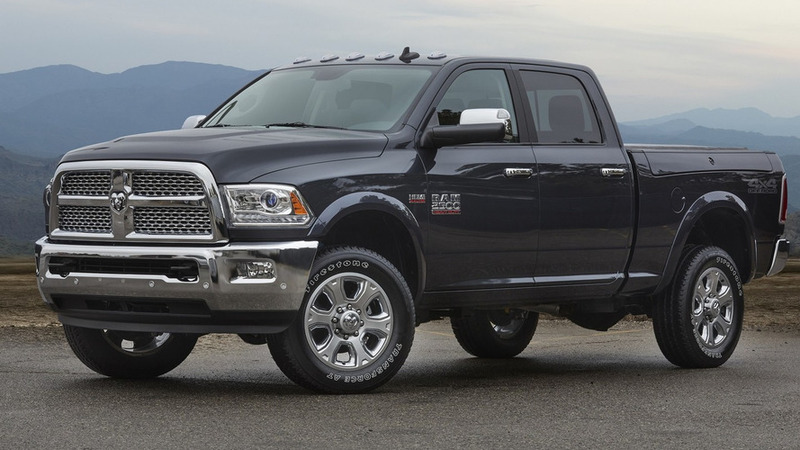 "We feel that we've delivered the right mix that Ram Truck customers – across a broad spectrum -- will appreciate." Pricing of all models reflects the standard 6.4-liter HEMI V-8 engine with 8-speed automatic transmission. The optional 6.7-liter Cummins Turbo Diesel with 6-speed automatic transmission is $9,100, while the optional 1,000 lb.-ft. of torque Cummins High Output (3500 only), mated to the Aisin 6-speed transmission, is $11,795. 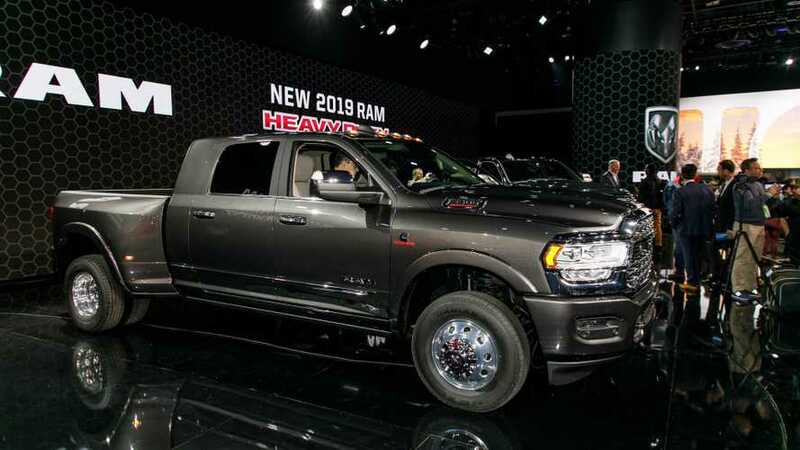 The new Ram Heavy Duty also sets benchmarks in ride and handling, luxury, materials, innovation, and technology extending well past any competitive offerings. Giving maximum effort all day, every day with confidence, the new 2019 Ram Heavy Duty line of pickups steps forward with the full force of modern capability. The new Ram Heavy Duty also will deliver new features and technologies that make hitching trailers easier and provide confidence while towing. New features include adaptive cruise control and forward collision warning, both with full stop while towing, 360-degree surround-view camera, trailer reverse guidance, cargo-view camera with dynamic gridlines, auxiliary cameras and bed-lowering mode. 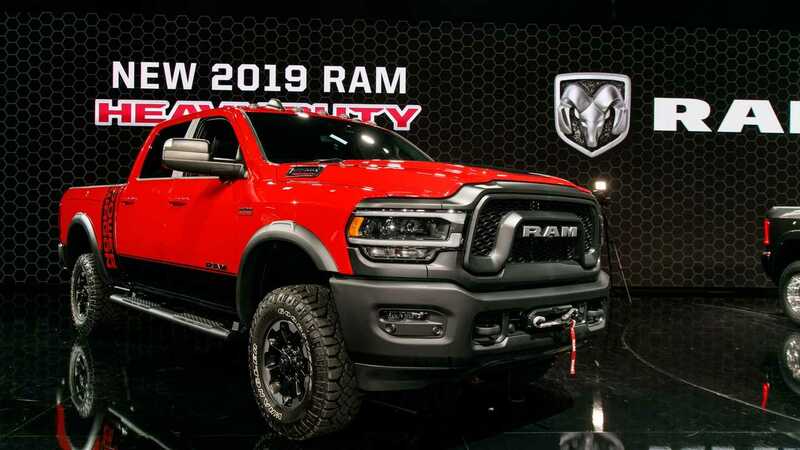 The new 2019 Ram 3500, 45000 and 5500 Chassis Cab commercial trucks also recently made their debut at the Chicago Auto Show earlier this month. The Chassis Cab lineup will have a starting Manufacturer’s Suggested Retail Price (MSRP) of $34,750 plus $1,695 destination fee. The new 2019 Ram 3500, 4500 and 5500 Chassis Cab will usher in a new generation of work trucks—one that leads the segment in capability, but also never-before-offered comfort and technology. Ram Chassis Cab trucks are the most durable, most capable and most confident cab and chassis trucks Ram has ever engineered. Ram’s heaviest haulers are built for unforgiving duty cycles while achieving new levels of efficiency and up-fitter friendliness. Ram Chassis Cab trucks are the most durable, most capable and most confident cab and chassis trucks Ram has engineered with a segment-leading towing capacity up to 35,220 pounds, the highest Gross Combined Weight Rating of 43,000 pounds and payload up to 12,510 pounds, Ram’s heaviest haulers are built for unforgiving duty cycles while achieving new levels of efficiency and up-fitter friendliness.